It seems like Tyrion is not in love with Danaerys after all. According to the director of the season finale of the hit-TV series, Jeremy Podeswa shot down the theory that some sort of love triangle is emerging between Jon Snow, Daenerys Targaryen and Tyrion Lannister, reports the Independent. While giving an interview to Daily Beast, Podeswa shared, "Well I think there's jealousy, but it's maybe not romantic jealousy, in the way that it is for Jorah, for example." Adding, "I think that for Tyrion, it's more complicated. I think he has a very special relationship with Dany and he really believes in her as a true leader and has invested a lot in her." 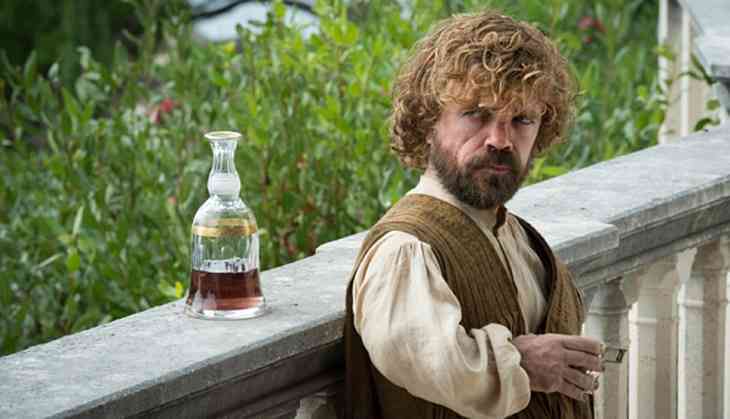 The director also shared that this situation undermines Tyrion's position with Danaerys. "I think for him, with Jon and Dany getting together, this represents a possible undermining of his position with her and also a monkey wrench thrown into what the master plan really is meant to be around this entire alliance," noted Podeswa. The director added that he sees Daenerys' Hand as "a bit of a strategist" and that makes Jon and Dany's relationship a problem. He explained, "He can't see where this is gonna go and that's very difficult for someone who is always thinking three steps ahead."